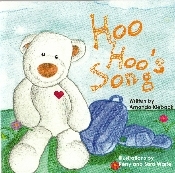 This review was written based on a copy of Hoo Hoo's Song that I received from the author in exchange for an honest review. Makes me think of a book we just read called The Pebble: A Story of Belonging. Great message! I have a Friday book link up at Little Sprout Books. Come check it out!